For most travellers, Siem Reap has been little more than a departure point for exploring Angkor Wat and the other Angkor temples. Yet it hasn’t always been that way. And once again the riverside city is offering visitors more to do than scramble archaeological sites. Until the Khmer Rouge seized power in 1975, Siem Reap had been something of a celebrity hot spot. 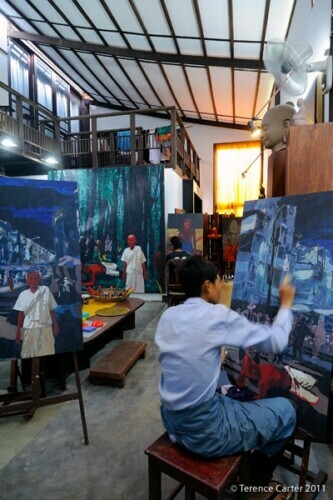 Its heyday was the 1960s, when King Sihanouk built a groovy guesthouse (now the Amansara) and everyone from the dapper Charlie Chaplin to fashion icon Jackie Kennedy visited the Cambodian city. In recent years Siem Reap has become something of a destination in itself, especially for Asian travellers – and Americans too, if Siem Reap’s #7 spot on Travel and Leisure’s 2011 World’s Best Cities list is any indication – which is how we came to find ourselves there for a week discovering the cool little shops, restaurants, bars, and boutique hotels that are luring travellers here once more. Wild Poppy. Shopping in Siem Reap, Cambodia. Poetry. Shopping in Siem Reap, Cambodia. Waterlilly. Shopping in Siem Reap, Cambodia. Wanderlust. Shopping in Siem Reap, Cambodia. Tendence Khmere. Shopping in Siem Reap, Cambodia. Smateria. Shopping in Siem Reap, Cambodia. Garden of Desire. Shopping in Siem Reap, Cambodia. Theams House. Shopping in Siem Reap, Cambodia. Eric Raisina. Shopping in Siem Reap, Cambodia. Wa Gallery. Shopping in Siem Reap, Cambodia. 1961. Shopping in Siem Reap, Cambodia. 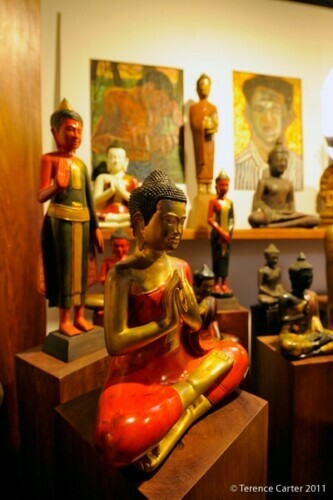 Like Phnom Penh (see my shopping itinerary for that city here), Siem Reap’s most interesting shops are small, independently owned businesses, started by Cambodians, Cambodian emigrants returning home, or expats with a strong connection to the place. Which is so refreshing to see. If there’s one thing that drives me nuts as far as cities are concerned, it’s that all the main streets are starting to look the same, lined with global franchises found all around the world. 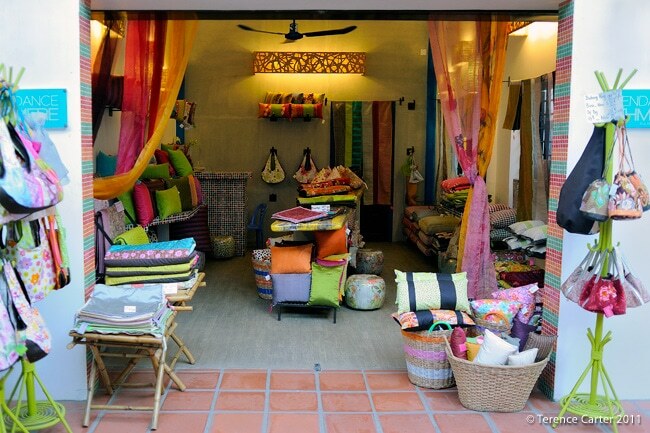 So here are my picks of Siem Reap’s most stylish shops, in an easy-to-follow shopping itinerary for you. START on the vibrant little lane called Alley West, at the Sivutha Boulevard end, in the centre of Siem Reap. Alley West runs parallel to backpacker party zone Pub Street, which should be avoided at all costs. Whereas the latter is crammed with loud, characterless bars selling cheap beers, the former is lined with chic boutiques, jewellery and accessories stores, interior décor shops, art and photography galleries, a handful of cafés and bars, and even a boutique hotel. 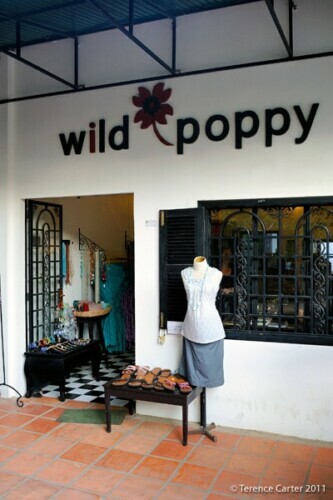 First stop, on your right, should be Wild Poppy (855 77 568 874), owned by an Australian couple, which has rack after rack of very feminine cotton frocks in pretty vintage-inspired patterns and florals made from Cambodian cotton that are ideal for Siem Reap’s sticky heat. 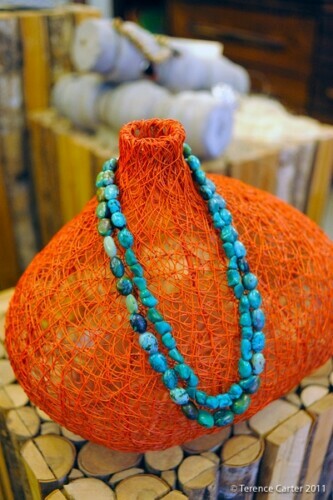 There was also some gorgeous jewellery crafted from colourful beads and buttons when we dropped by. 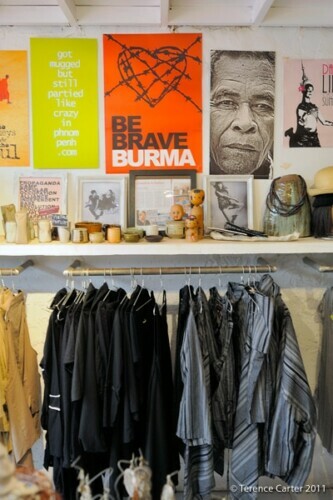 Next is Poetry (855 63 963 207), an edgy store that wouldn’t be out of place in inner city Sydney or Melbourne. 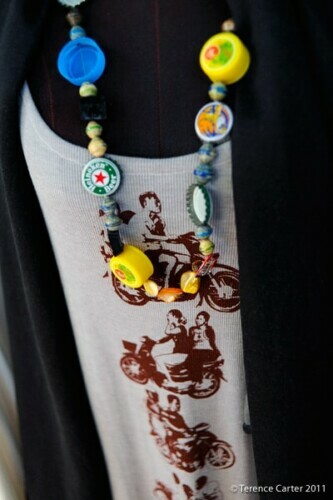 Ran by Filipino creative entrepreneur Loven Ramos, an artist, designer and gallery-café owner, Poetry stocks an engaging mix of avant-garde fashion, quirky jewellery and accessories, along with cool stickers, posters, and badges branded with bold political slogans. 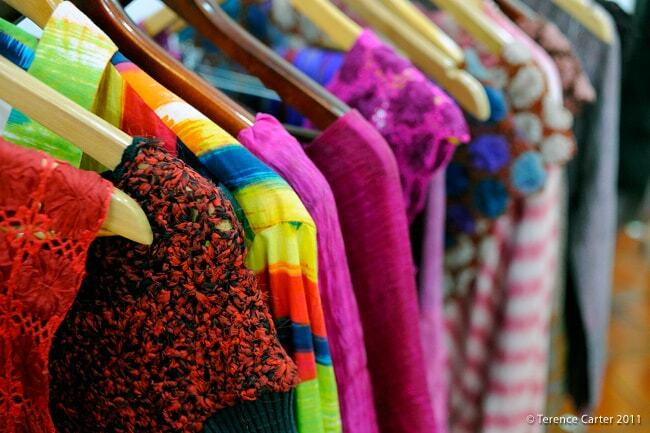 In the back room and upstairs, you’ll find vintage clothes. A bit further down the alley on the left, you’ll see two more pretty stores. 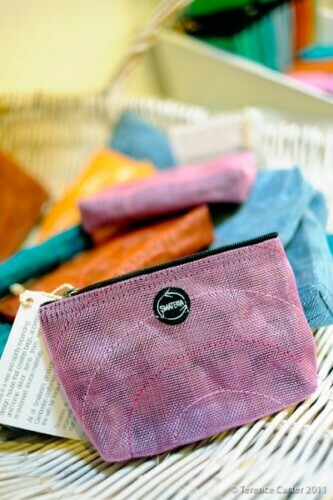 At Waterlily (855 12 812 469), there’s plenty of flirty boho-chic fashion, funky belts and flatties, and French designer Christine Gauthier’s gorgeous recycled jewellery made from buttons, resin and electrical cables. 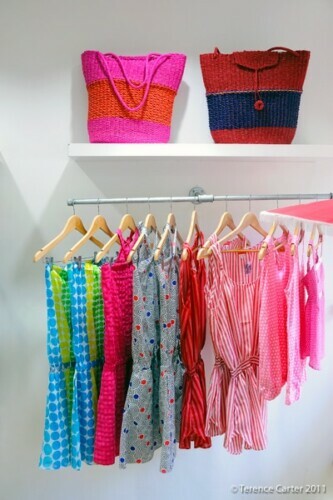 Next door is Wanderlust, owned by New Yorker Elizabeth Kiester, which had racks of summery shirt dresses and retro-inspired smock when I last called in, as well as clutch purses made from recycled rice bags. Opposite, on the right side of the alley are a couple more beautiful shops, including Tendance Khmere which is crammed with lovely colourful Cambodian silk quilts, curtains, cushions, cushion covers, and bags, and Smateria (www.smateria.com), which has a huge range of recycled, eco-friendly bags, handbags, wallets, and purses, all of which are Italian-designed but locally made. Back on the other side, you should spot Art Deli, a bohemian café owned by Loven Ramos, in case you need a coffee or cold drink. Pass the restaurants clustered at the end of the alley and cross the street to a continuation of Alley West which is also called The Passage. About halfway down the lane — after the bars, AHA restaurant (see our review here) and the McDermott Gallery, which sells black and white photographs of Angkor sites and shows art in the upstairs gallery — you’ll spot Garden of Desire (855 12 319 116), the exquisite jewellery store of Cambodian Pisith Ly, who makes wonderful jewellery from precious gems, quality metals and natural materials, like stone and wood. We talked to Pisith at some length about the symbolism, meanings and stories behind his jewellery pieces. Pisith fled Cambodia as a young child after the Khmer Rouge murdered his family and moved to Paris where he studied fine arts and designed for Alain Mikli and Phillipe Starck. He returned to Siem Reap to try to come to terms with his past and his jewellery tells his stories, reflecting his own process of coming to terms with his tragic early life. On Pithnou Street, grab a tuk-tuk to take you to your next destinations. Tell the driver you’re going to want him for a couple of hours and that you’ll need him to wait for you. It shouldn’t be a problem but if it is simply grab another. Get the driver to take you to Phum Veal or Veal village, just a 10-minute drive away, to Theam’s House (www.theamshouse.com), a stunning gallery of quality Khmer art and crafts set in the inviting home (and tranquil garden) of artist Theam Lim, who was the artistic director of Artisans d’Angkor for 10 years. 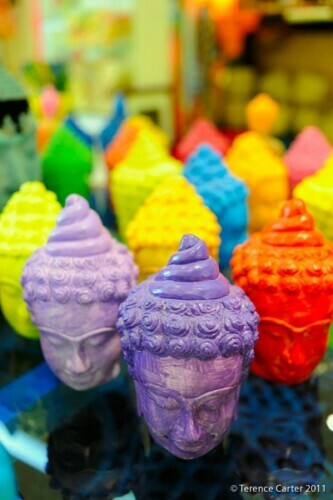 Here you’ll find original art, lovely lacquerware, cute colourful elephants, and carved and sculpted Buddha images. If you have a passion for art, ask to see the studio out back where you can watch artists at work. Get your driver to take you to the Foreign Correspondents Club Angkor (FCC; www.fcccambodia.com), which, while famous for its bar, a lovely spot for sundowners, is also home to half a dozen more gorgeous stores. Starting out front, there’s another branch of Wanderlust and, adjacent, Jasmine (www.jasmineboutique.net), an elegant boutique owned by Australian Cassandra McMillan and New Zealander Kellianne Karatau (I wrote about their Phnom Penh shop here), where the specialty is dressy frocks and accessories in Cambodian silks. FINISH by directing your tuk-tuk driver along River Road to your last stop, a funky two-storey Sixties-era villa housing 1961 (www.the1961.com), an edgy art gallery, artists’ retreat, performance space, and breezy café-bar opened this year by Loven Ramos. 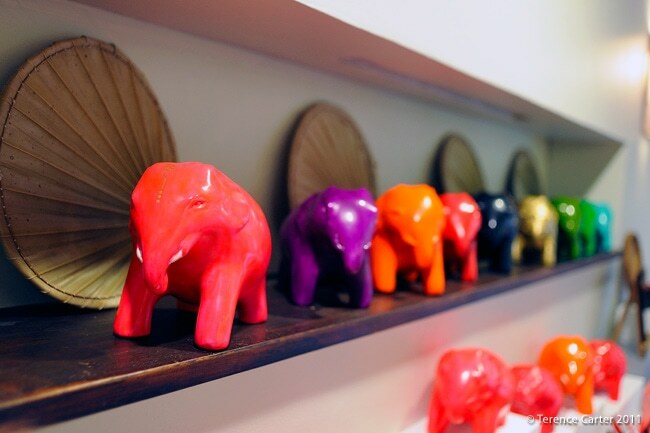 If you can’t find any art you want to buy, there’s also a boutique selling unique arty-inspired gifts. Otherwise, have a well-deserved drink in the café. UPDATE 2014: Sadly, some of the above shops and venues have shut down: Poetry, Waterlilly, Wanderlust, Tendance Khmere, and Art Deli. 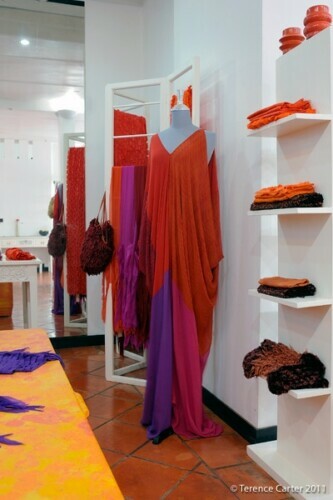 Eric Raisina has opened a couture house at Charming City and a third boutique at Cassia, while Loven Ramos’ The 1961 has transformed into a co-working space although it still has a gallery and holds arty events. 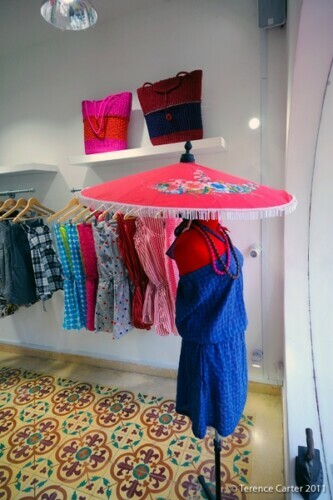 We’ll be providing a comprehensive updated Siem Reap shopping guide in mid 2016. Thanks for the link and for dropping by! Great itinerary! 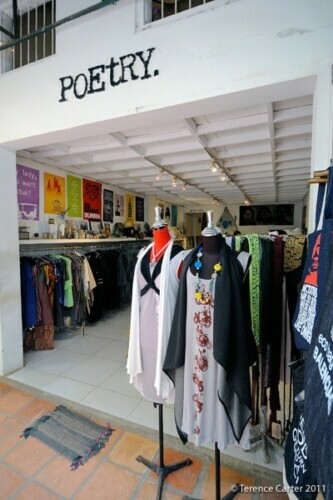 Just would like to inform you that unfortunately the Poetry shop has closed a couple of weeks ago, and also would like to advise you for another amazing address for Khmer art you cannot miss : Angkor Artwork, which are producing the most amazing Buddha in Siem Reap, beautiful paintings and some lovely lacquer ware products. Hi Chris – thank for that update. Shame to hear that Loven closed Poetry – I’ll have to email him and find out what happened. We’ll check out Angkor Artwork when we get back to Cambodia (currently in Vietnam), but sounds good. Hi there, thanks for this great itinerary. I am going to SR towards mid September and will only have the evenings off to roam the city. Can you tell me what are the prices like? Thanks! I am just about to update this shopping itinerary actually, as a couple of shops have closed, so check in again soon. Do you mean the prices of things to buy or the prices more generally? If it’s the latter, also check out our Price Check: Siem Reap post where we provide prices for basic groceries and share the best markets and supermarkets to shop at. Let me know what you mean – happy to help. I love your blog, you bring it all to life. I lived in Siem Reap for 6 months back in 2010 and visited again earlier this year. 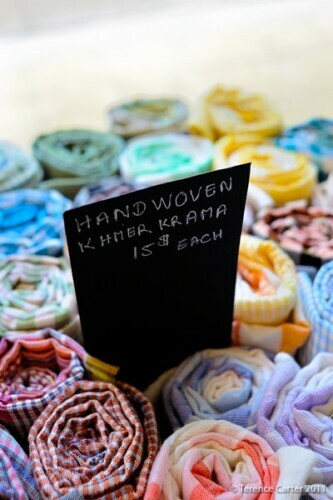 I’m just writing an article on ethical shopping in the Reap and I can’t recall is Tendance Khmere still in Alley West? Thanks so much for the kind words – greatly appreciated. 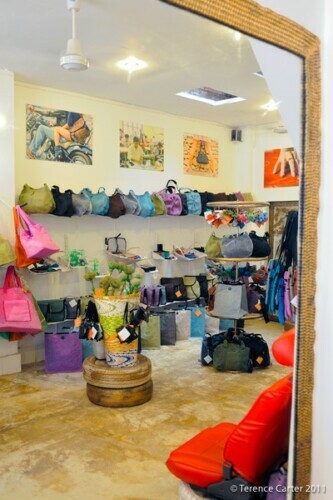 I recently did a story on Stylish Siem Reap for an Australian magazine that you’ll see published there in November that has a section on ethical shopping, which I’ll upload on to the site at some stage. Sadly, no, Tendance Khmere has gone, as has Wanderlust, and Poetry. Alley West has a very different atmosphere now – it’s mainly dominated by restaurants (a new bakery/ice creamery just opened) and isn’t quite the shopping street it was. I haven’t uploaded this story as we’re about to relaunch the site next week with a new design, so there’ll be updates there. Siem Reap has changed so much since 2010 – you must return! I am a Korean and going to Siem Reap this Sunday as a corporate retreat. Love from stranger passing by and good luck on your journey. Thanks, Serah! Glad to be of help! Were is your retreat being held? Regarding this shopping itinerary, I really need to update it soon – unfortunately a few shops are closed, however, if you follow this you will still find some lovely shops still operating like Garden of Desire, Smateria, Eric Raisina, Wa Gallery, and Theam’s. Don’t miss our Culinary Guide to Siem Reap and Siem Reap’s Best Bars list. Enjoy Siem Reap and let us know if you need more tips! Just found your site and am studying up for my spring trip! I was hoping to get by with carry-on luggage only, but based on this post, I know I’ll want to do lots of shopping! You can do carry-on on the flight here and buy a cheap bag to hold all your goodies to put under the plane for the return trip. The shopping is amazing. I’m currently working on a more comprehensive guide as that one is a little out of date, so do check back in January. So many fabulous boutiques and fantastic shops selling arts, crafts, design objects, jewellery, and accessories have opened since then. 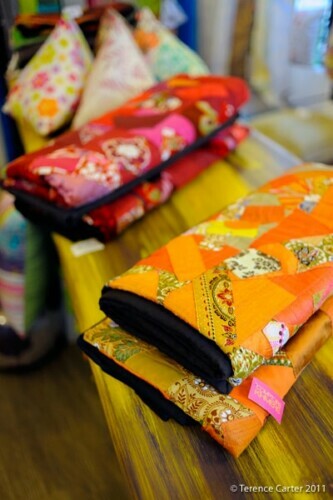 And of course there’s also the brilliant Made in Cambodia market. Just wanted to know if this info is still relevant, since it was posted in 2011? We’re going in our first trip to Siem reap in 10 days time. Can’t wait! Hi Kavya – did you see the update at the end of the post? Those spots are closed of course, but everything else is still open. Unfortunately I’ve just been too busy to update it. 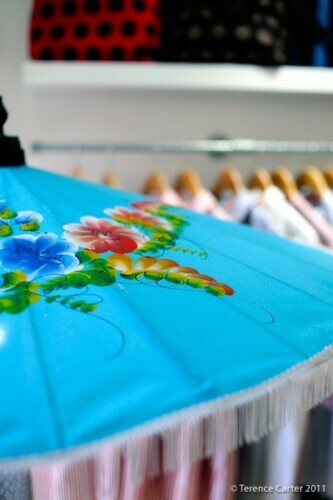 Plus, I craft bespoke shopping itineraries and host shopping tours so I tend to provide the information directly to clients: http://grantourismotravels.com/itineraries-tours-retreats/ I will try hard to update this soon, though. The shopping here is wonderful – you’re going to love it! Let us know if you have any questions. Great blog post for artifact shopping list! 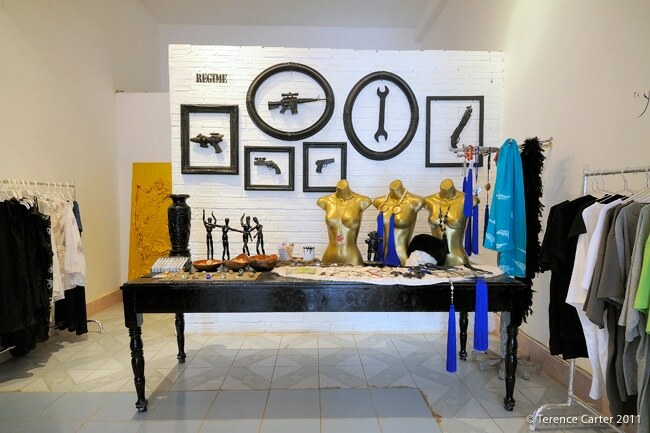 Artisan were the only venue when it come to artifact or Cambodian arts and didn’t even aware of Theamhouse until now. Thank you for the kind words. I really need to update this post 🙁 So pleased you discovered Theam’s House through this post. It’s a beautiful place, isn’t it?